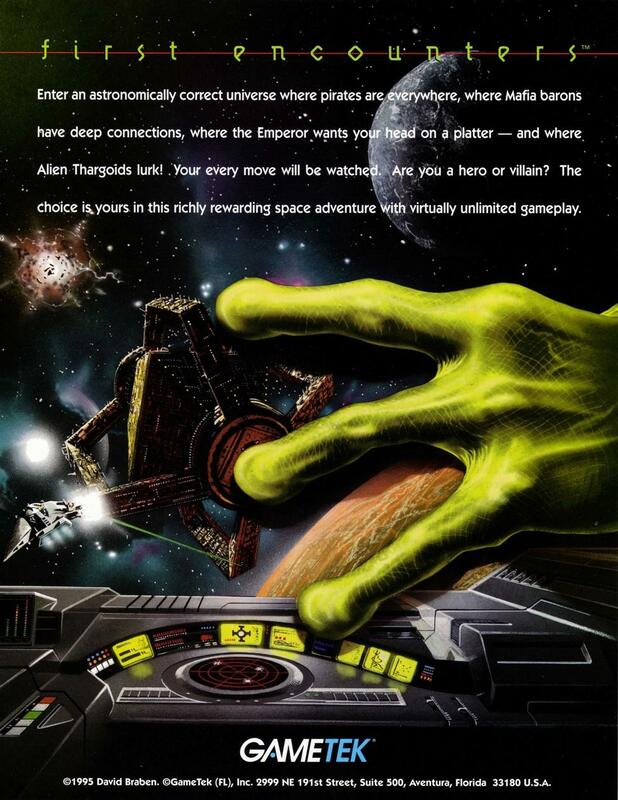 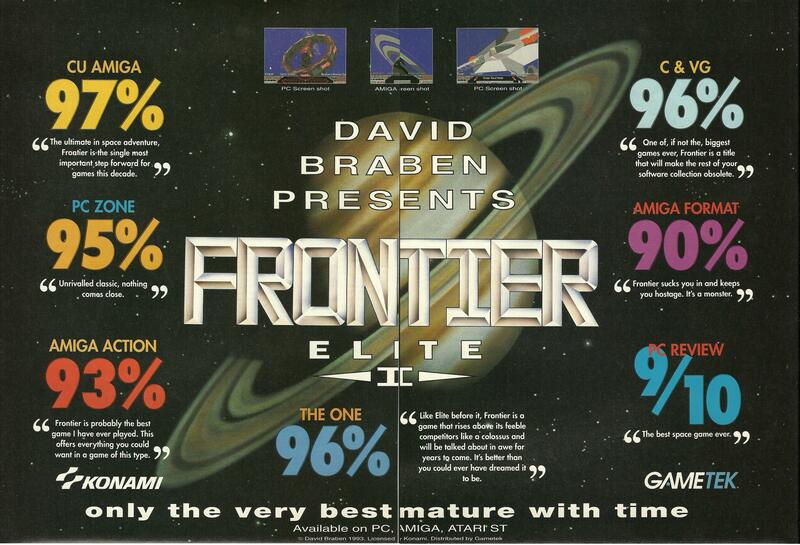 This is a scan of a full-page advert in the November 1993 edition of PC Format magazine. 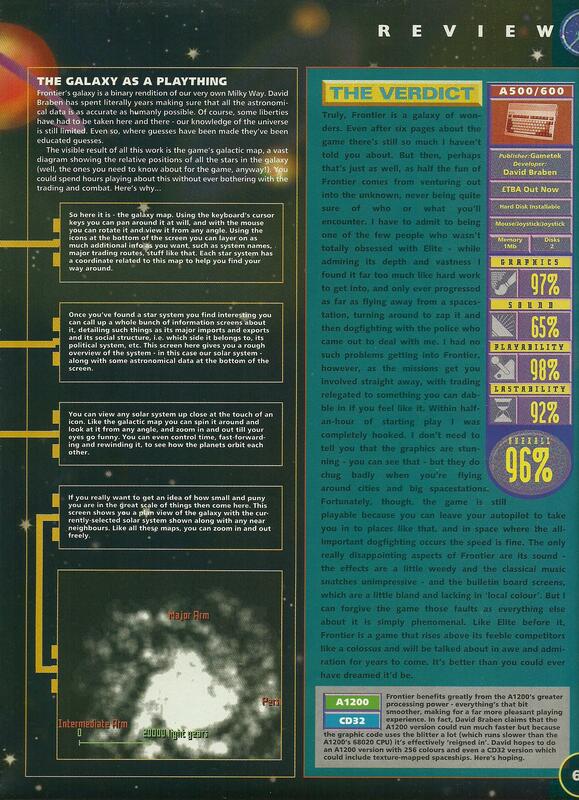 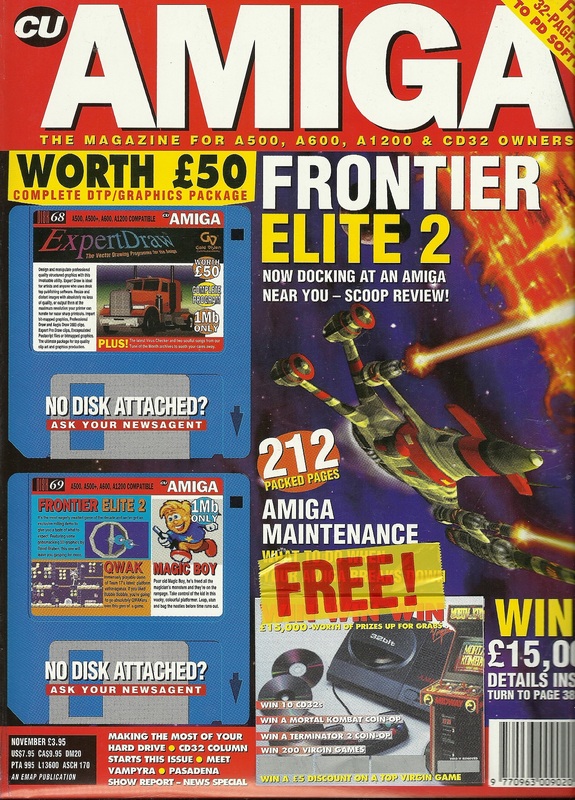 As with all the other adverts for the game, it included the quote from CU Amiga magazine and the rating of 97% which that publication gave the game. 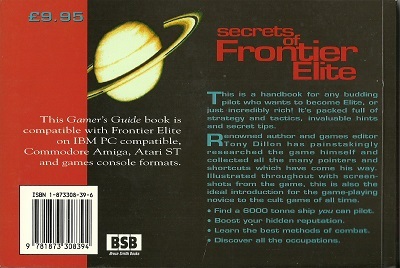 In addition it included a quote from the 1985 review of the original Elite from Personal Computer World magazine. 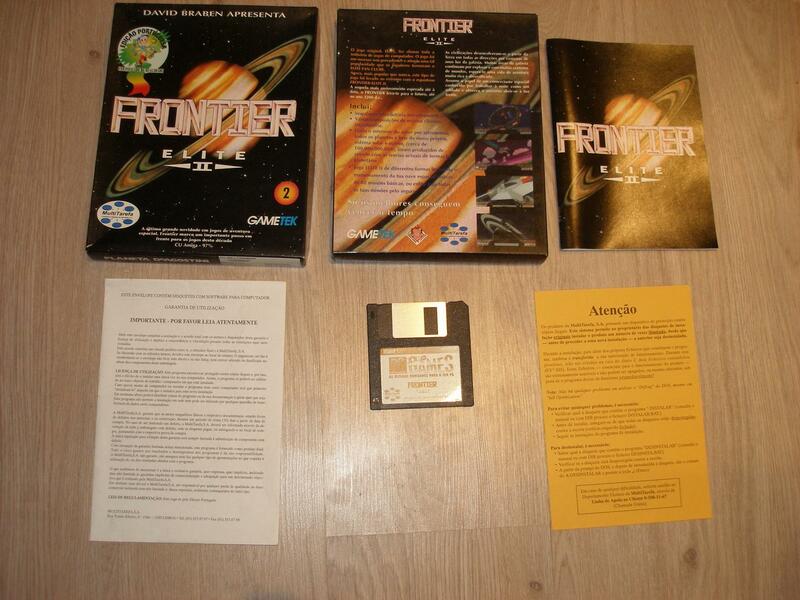 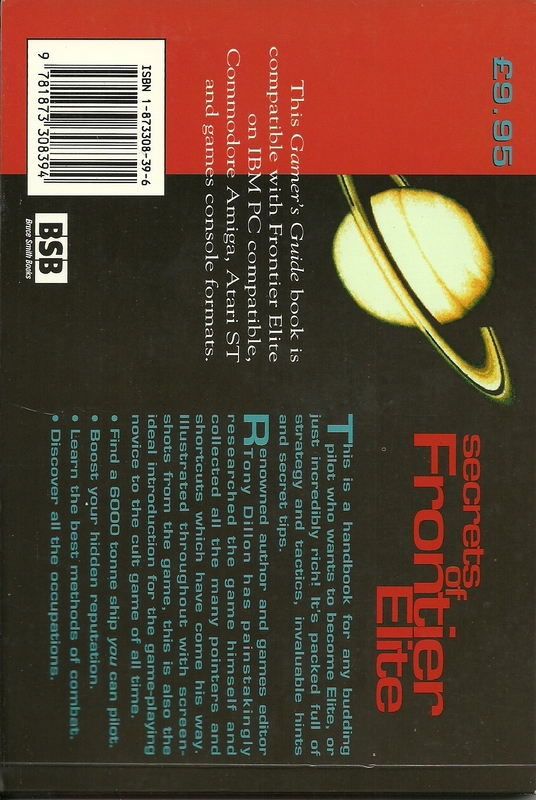 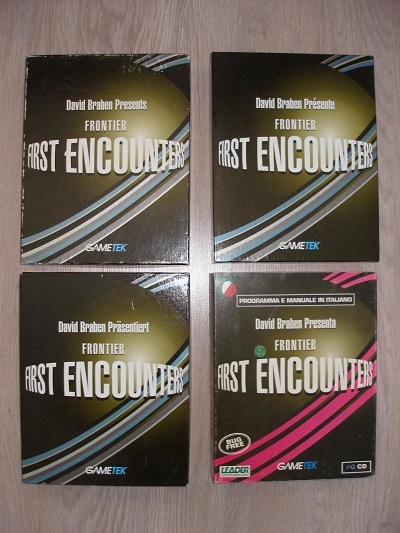 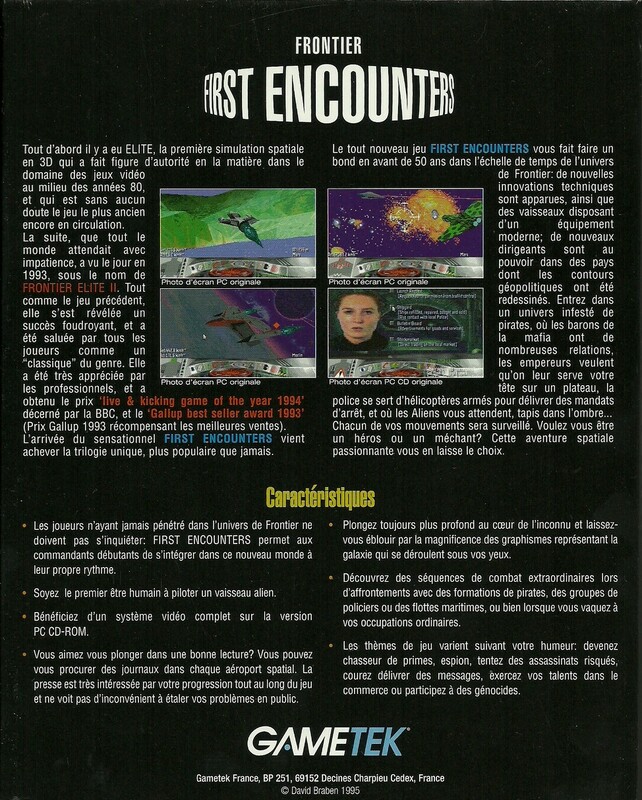 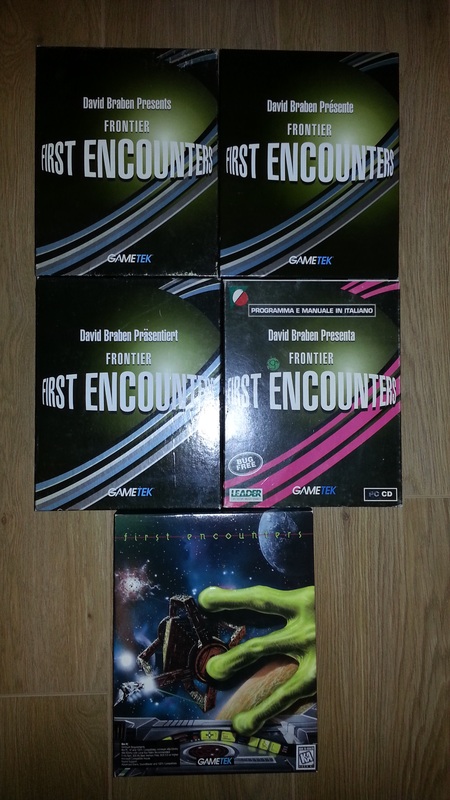 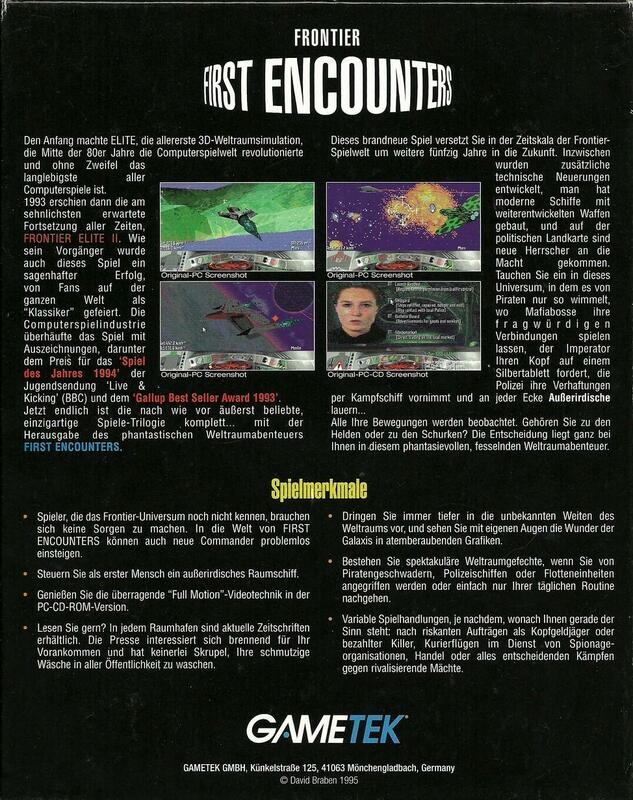 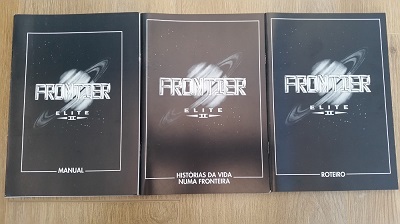 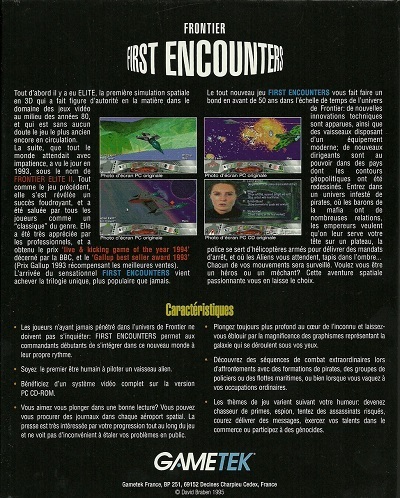 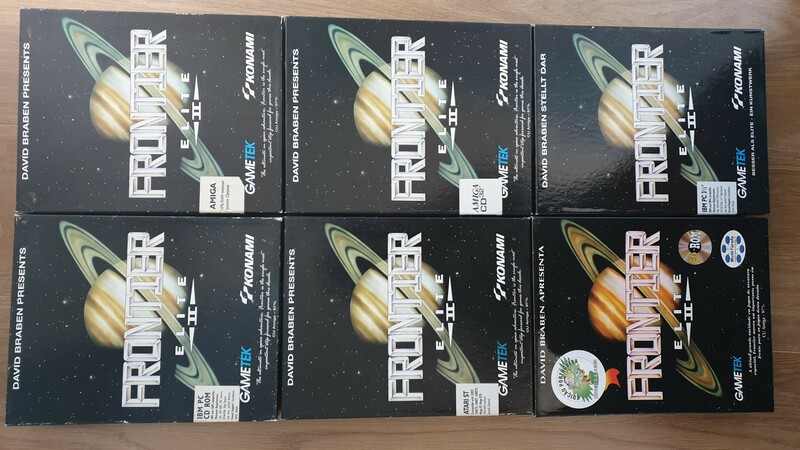 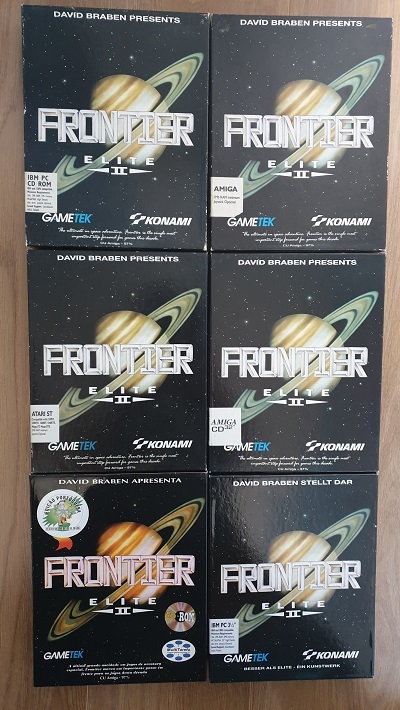 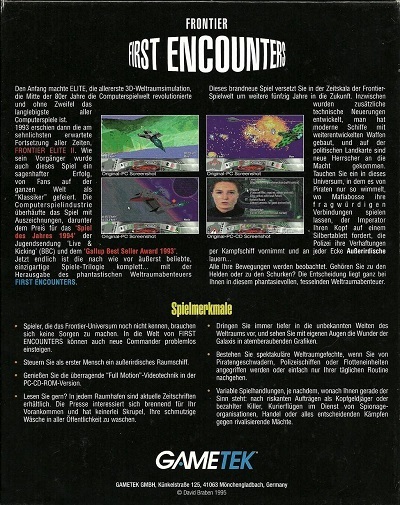 For years I believed that Frontier First Encounters was only released in three languages - English, French & German. 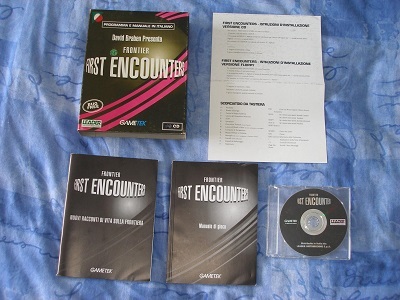 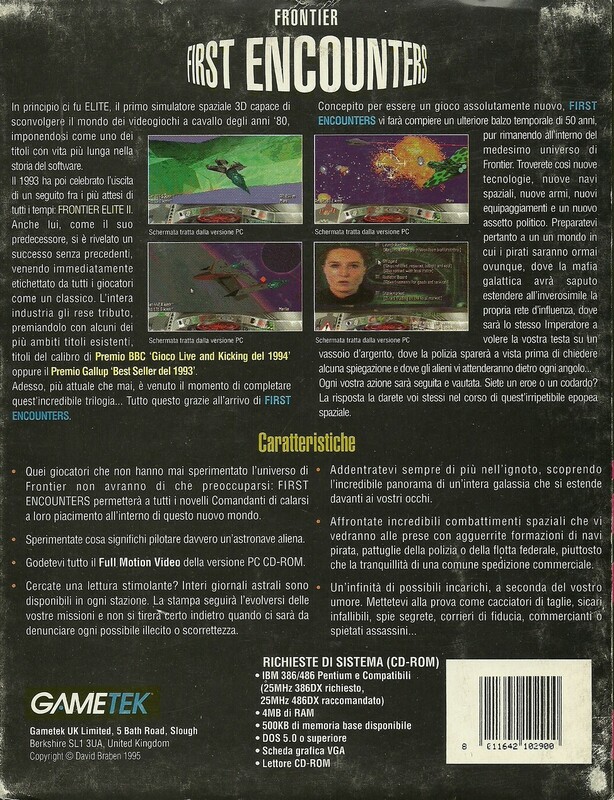 Until, that is, I came across an Italian version of the game, with the printed material also produced in that language. 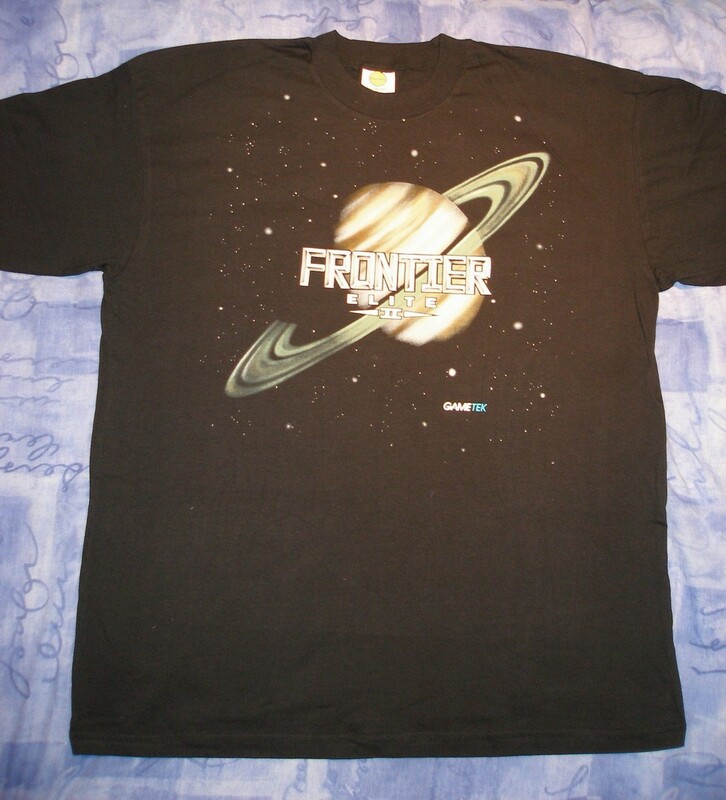 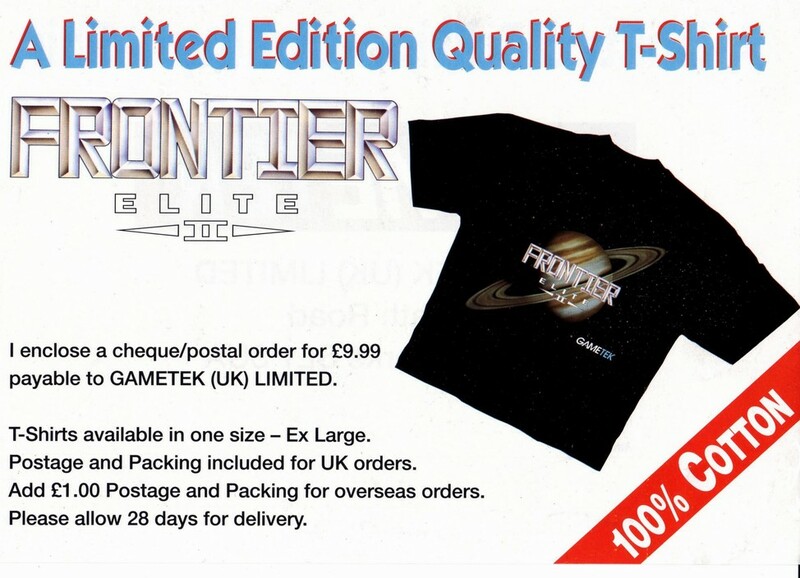 This is the t-shirt itself, showing the familiar Frontier logo on the black cotton material. It is a good quality garment. 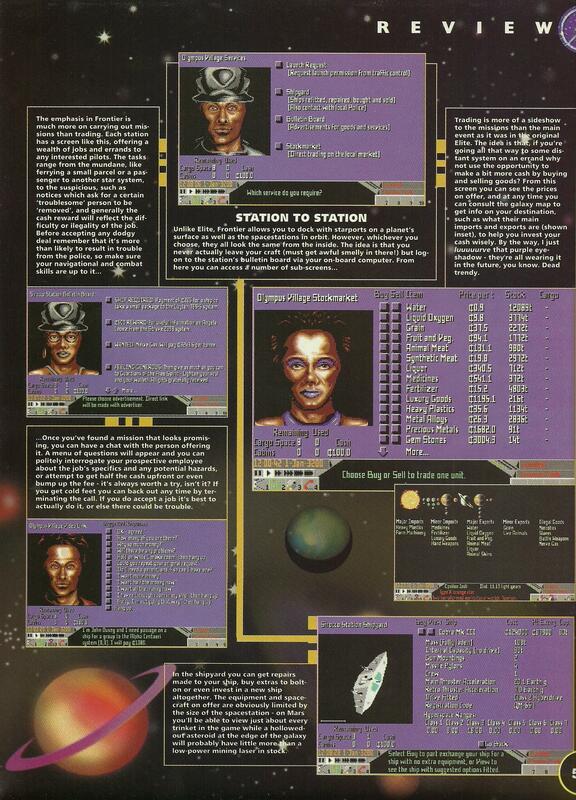 This may seem unimportant at first, but a Commander needs to be alert at all times when in space. 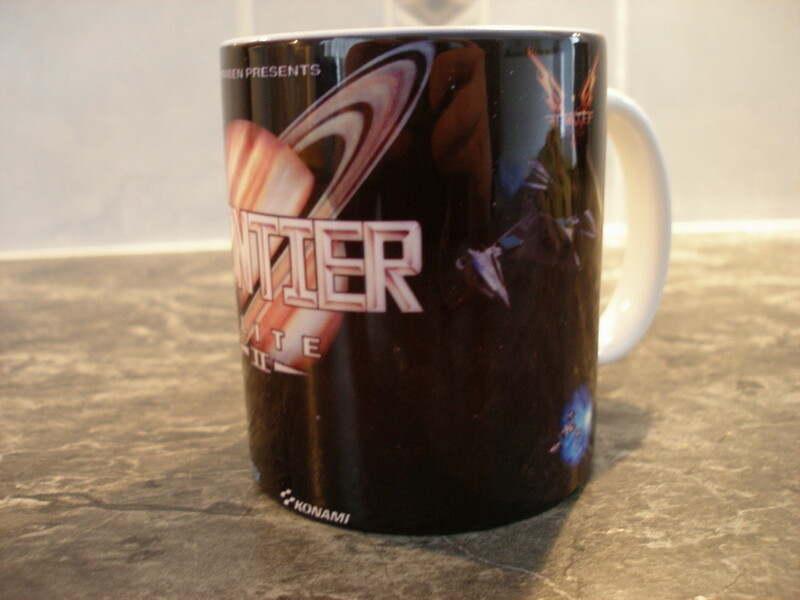 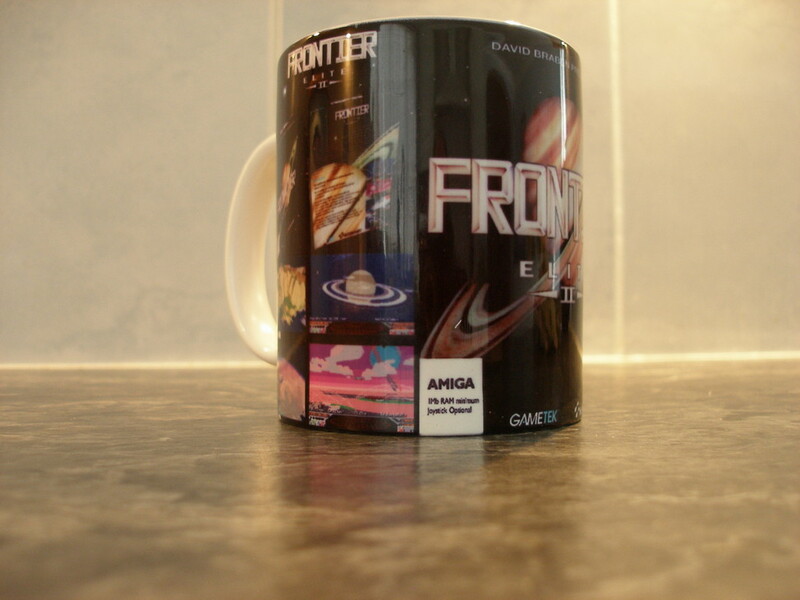 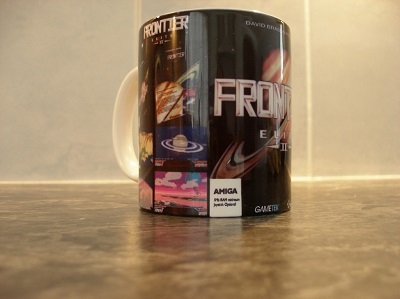 What better way to achieve this than by sipping coffee from a genuine Frontier Elite mug? 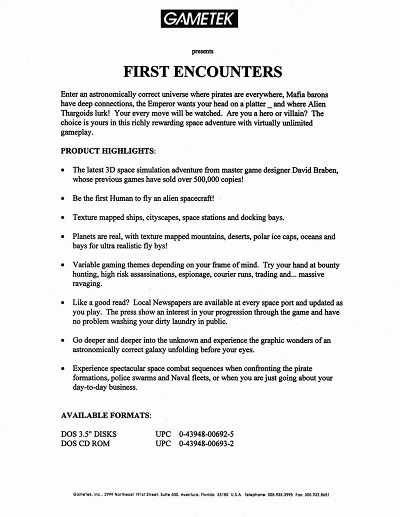 Once safely landed at a port, it is always a good idea to unwind and ease the stresses associated with space travel. 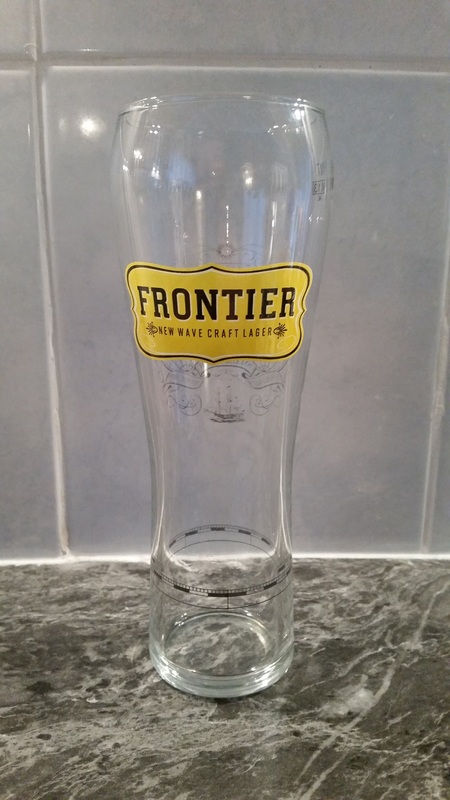 This pint glass pronotes a brand of lager rather than the Frontier Elite Universe but can, of course, be used to contain the cold beverage of your choice. Remember, drinking alcohol whilst flying your spaceship is a capital offence in the Empire! 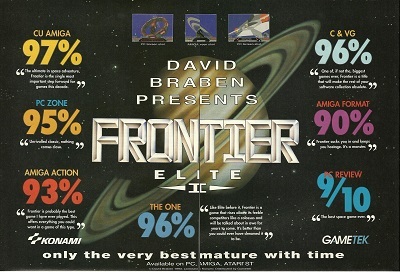 The overall rating was a healthy 96%, with the lowest score being reserved for the sound, which also occurred in other reviews of the game. 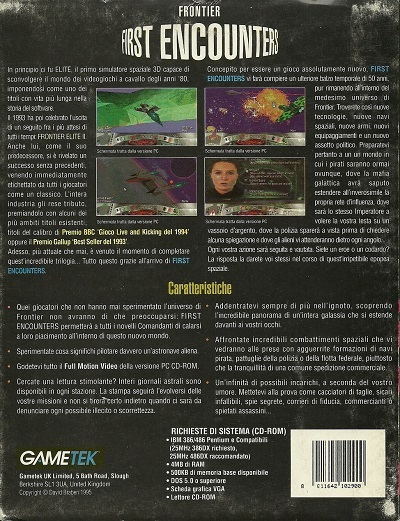 The overall rating was an impressive 97% and the review was written sufficiently quickly for the final line to be included on the front of the retail box. 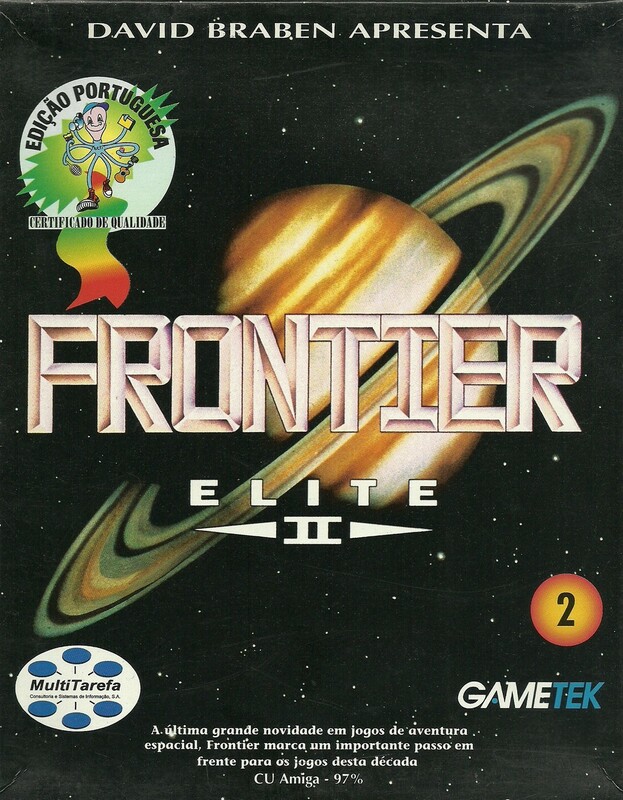 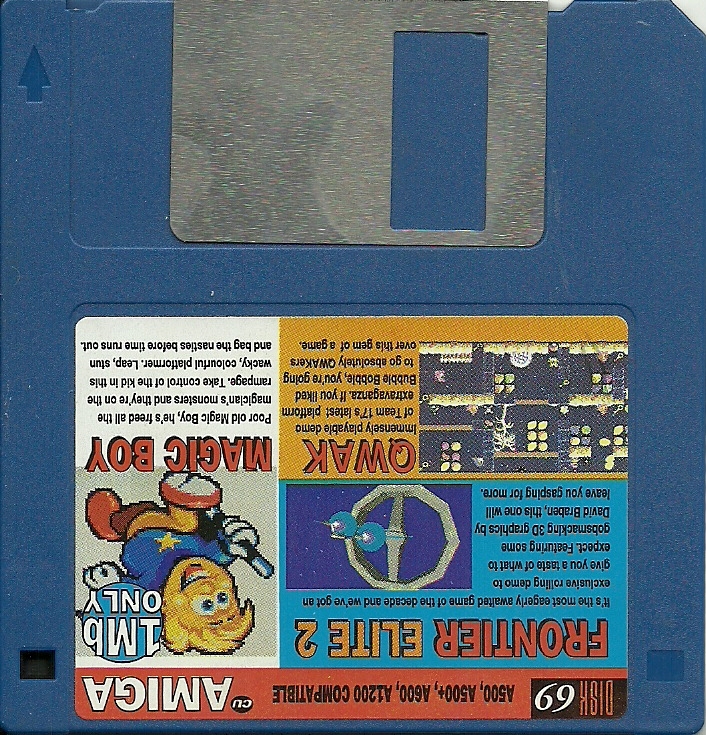 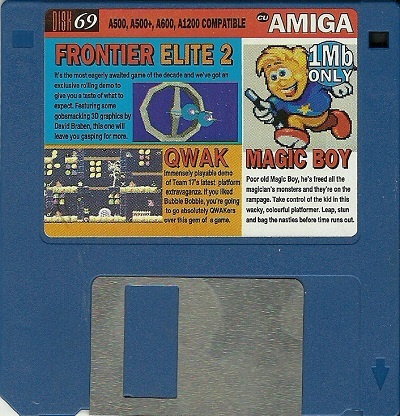 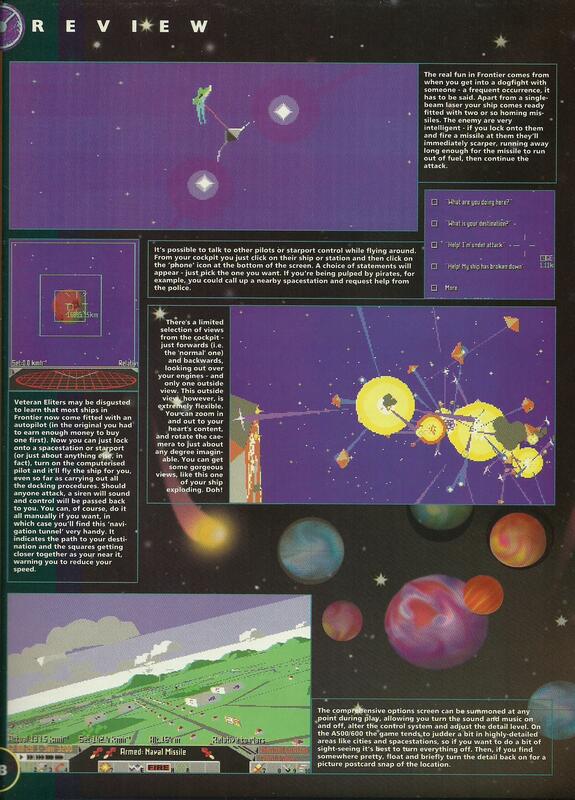 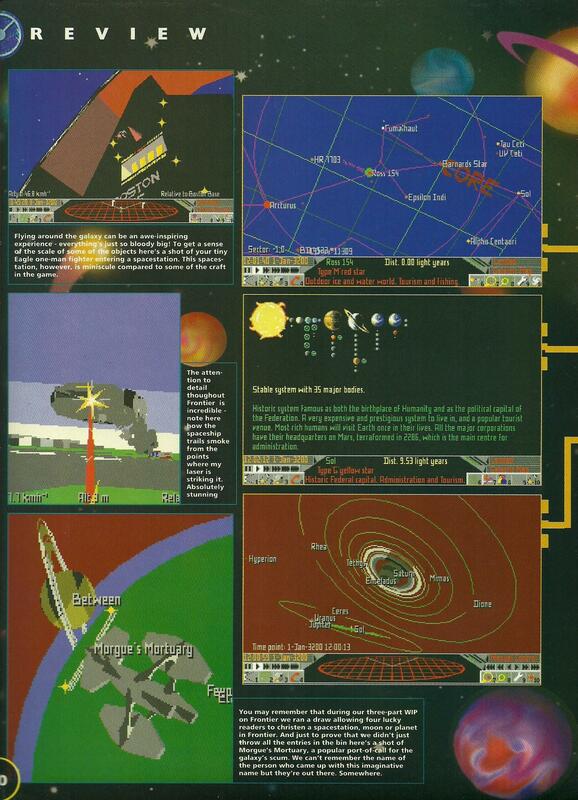 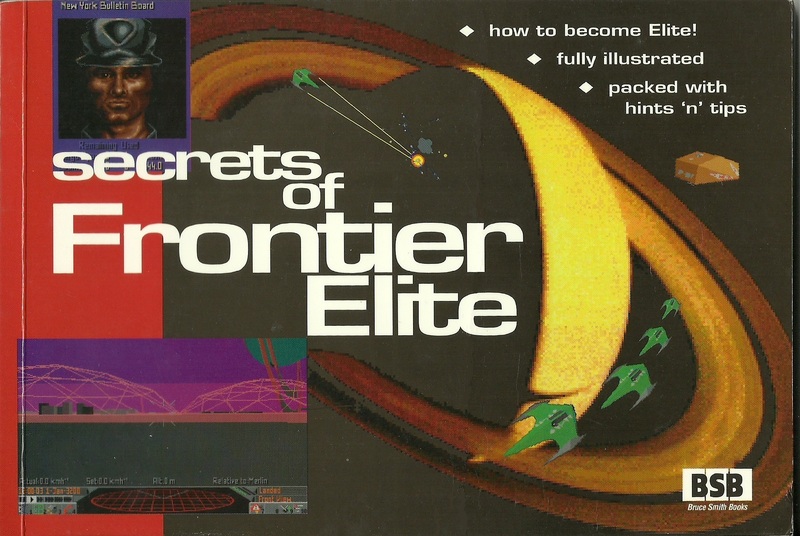 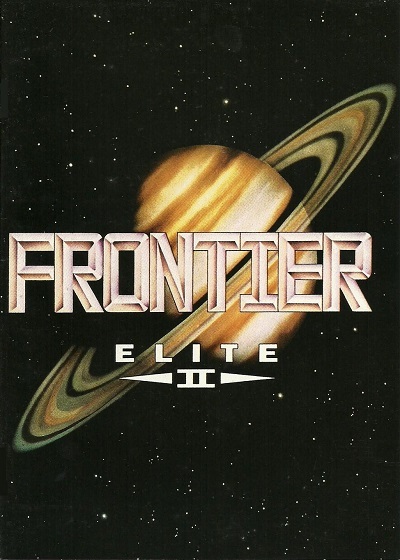 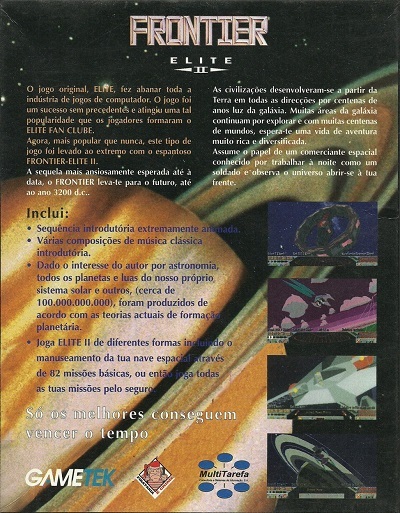 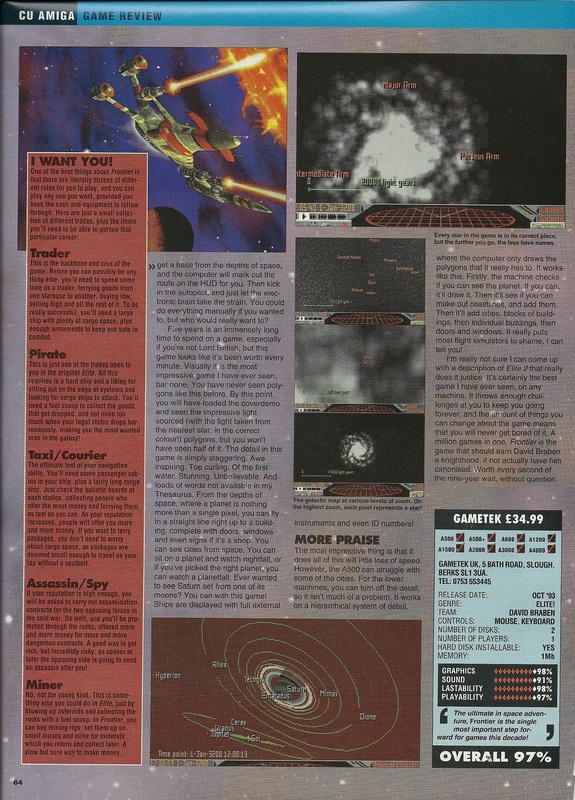 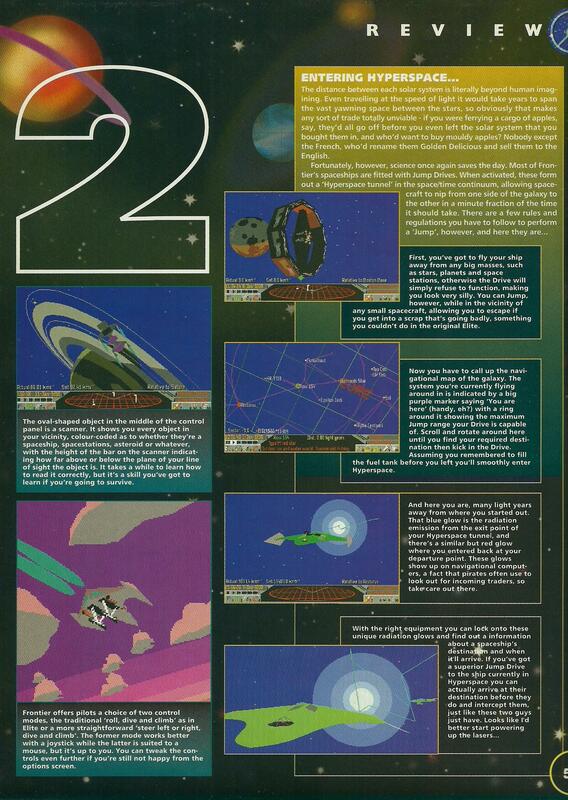 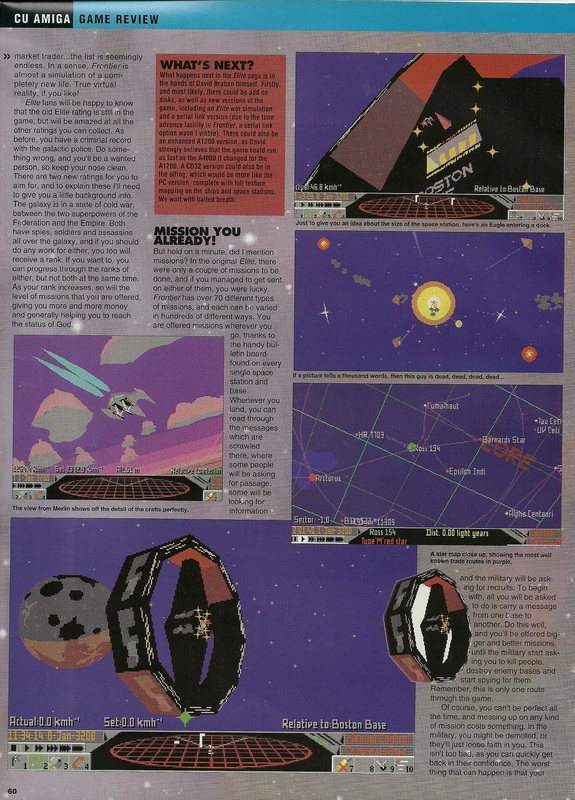 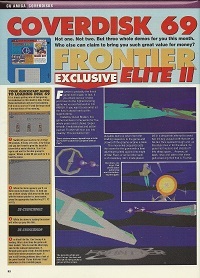 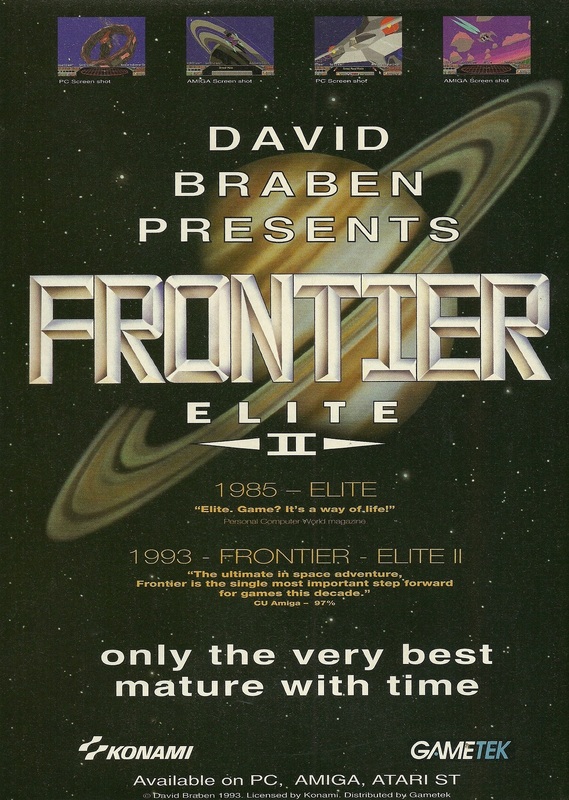 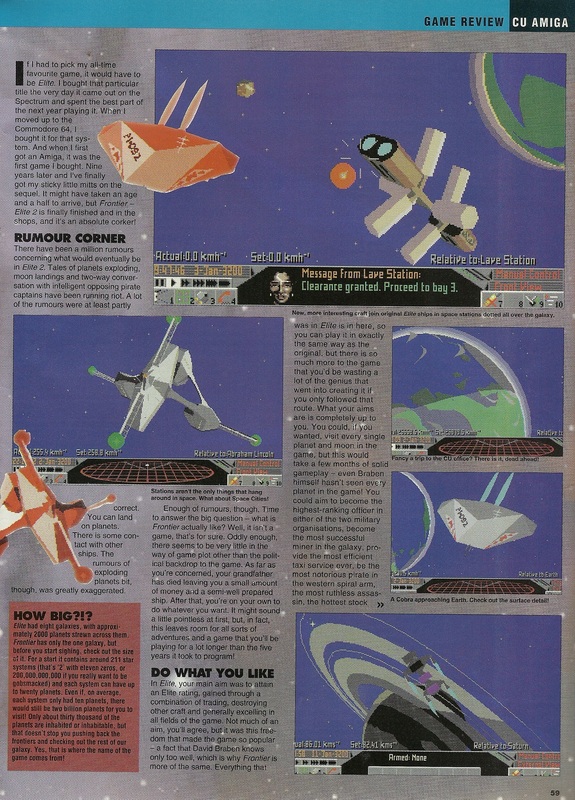 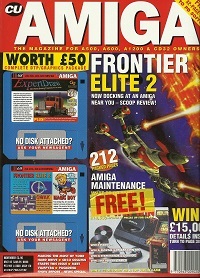 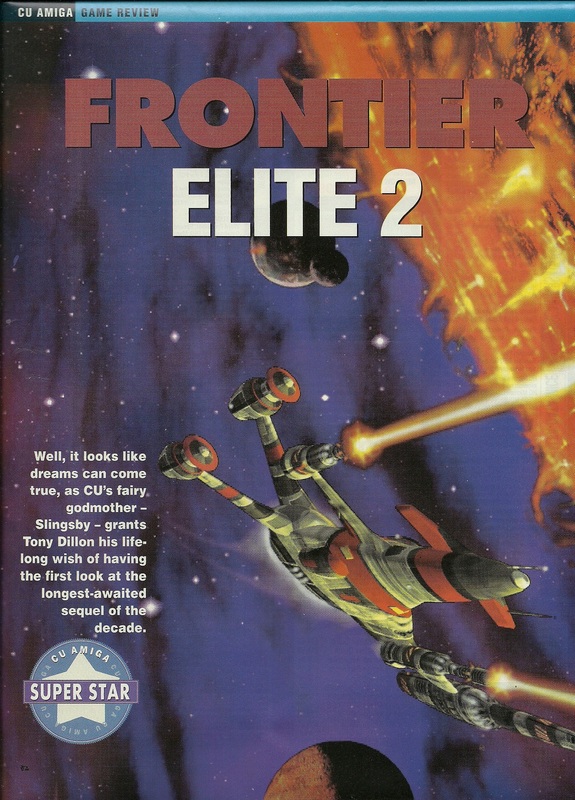 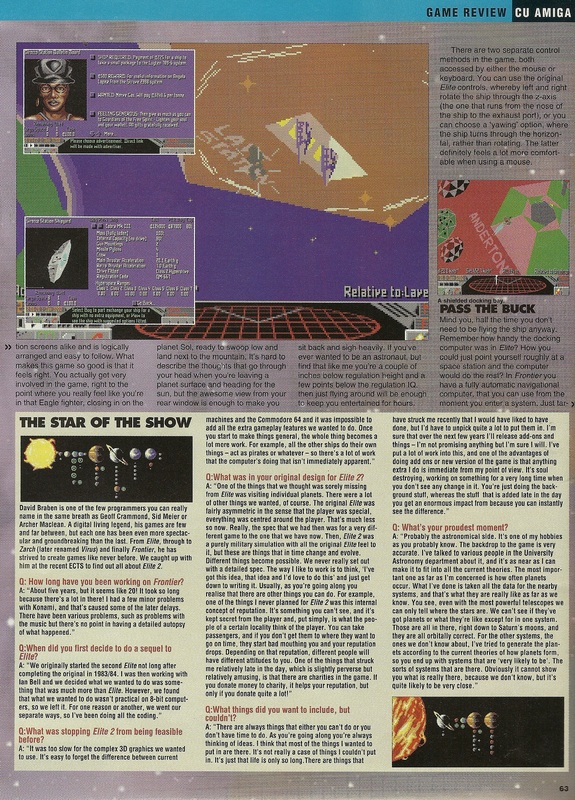 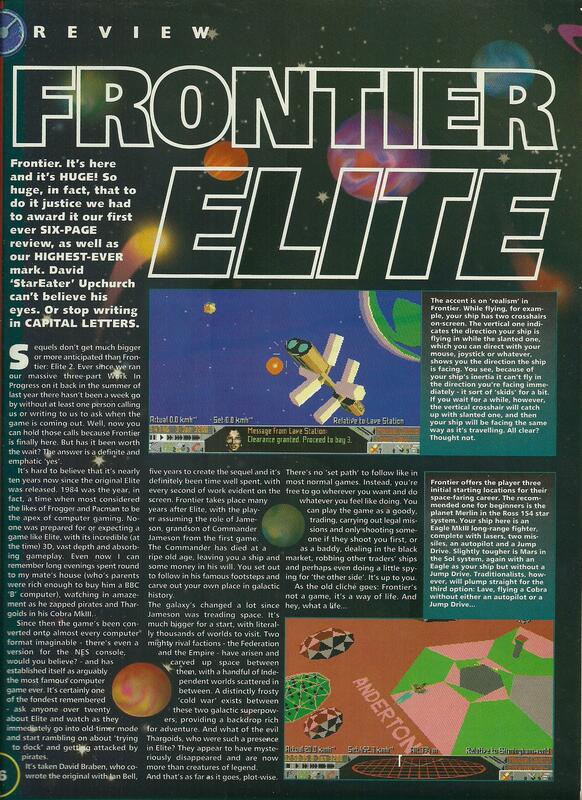 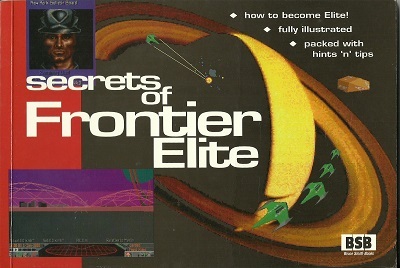 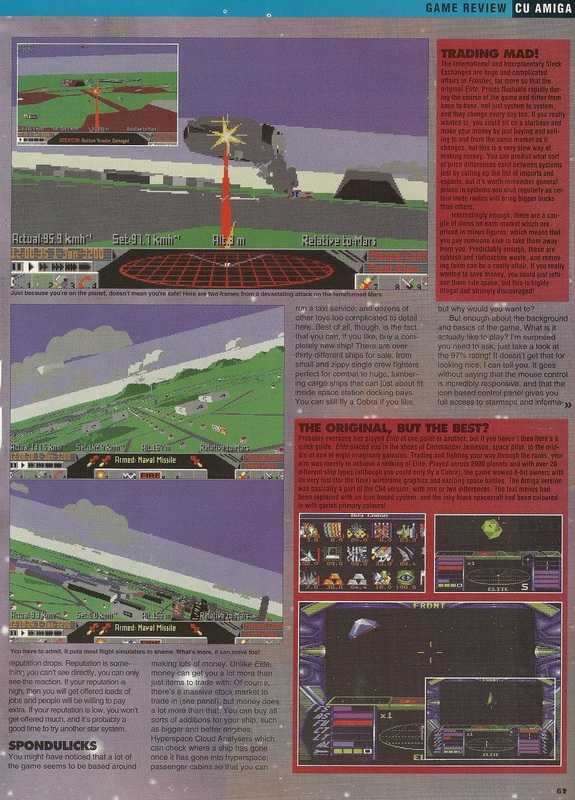 The November 1993 edition of CU Amiga magazine featured a coverdisk which included a rolling demo of Frontier Elite 2. 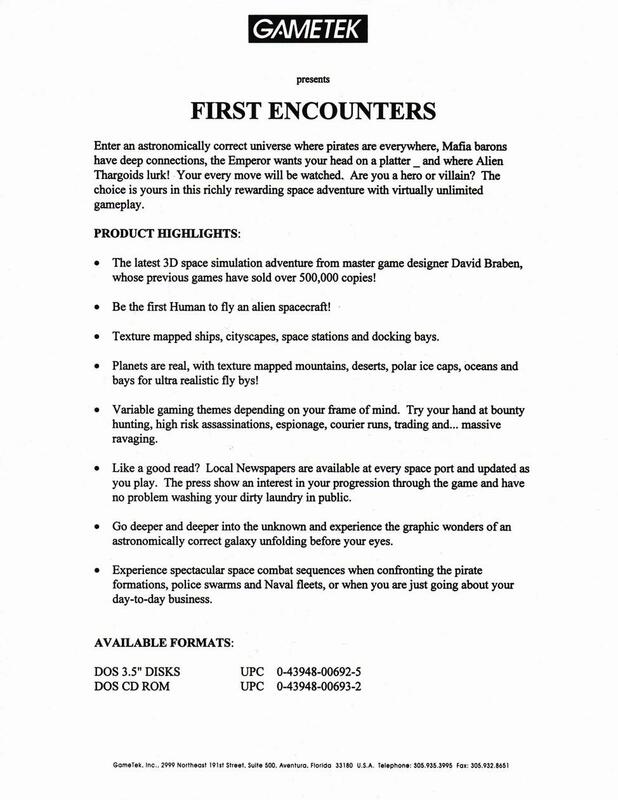 This was exactly the same as the opening sequence of the full game, but did not respond to any keyboard or controller input from the user.